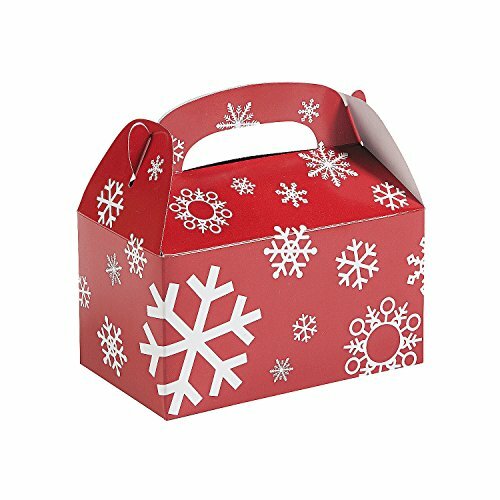 Put all of your best holiday delights into these festive snowflake treat boxes. These make a great addition to your holiday party and a wonderful way to send guests home with something special! 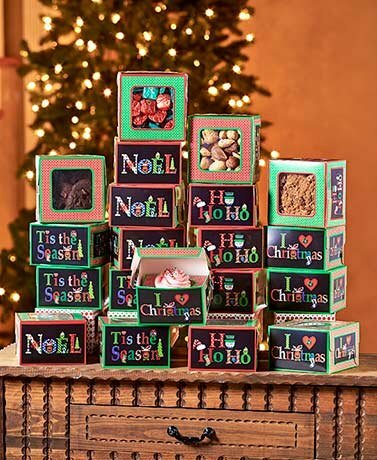 Each box is perfect for party favors or as a Christmas gift box. Paper. Simple assembly required. 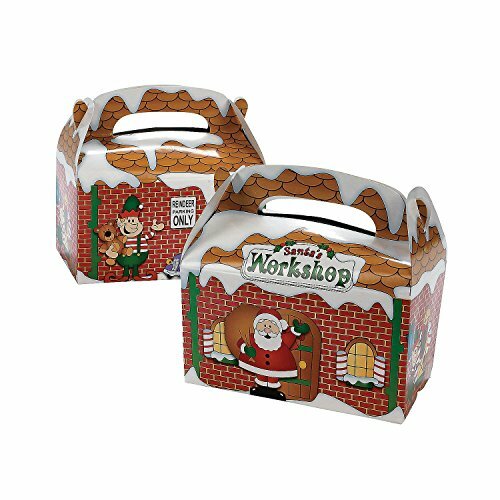 6 1/4" x 3 1/2" x 6"
"Santa's Workshop" Cardboard Treat Boxes. 6 1/2" Simple assembly required. Cardboard Snowman Gift Boxes. 6" x 4 1/2" Simple assembly required. Accessories not included. 12 per sale. 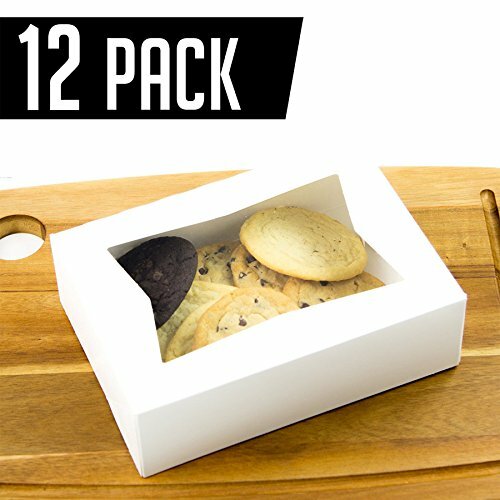 Whether you're packing cookies for your neighbors or party favors for the kids these adorable cardboard Santa gift boxes are the perfect choice! Each cardboard box measures 6" x 4 1/2" x 4 1/2" with simple assembly. 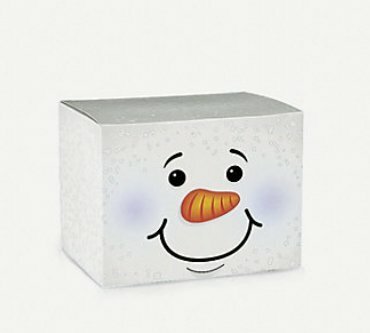 The jolly face of Saint Nick that adorns the front of these boxes will put a smile on everyone's face this holiday season! 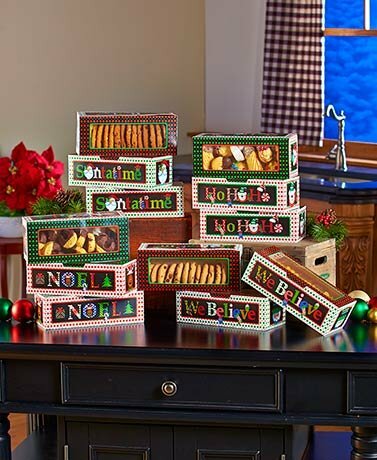 20 boxes - great for giving cookies, candies and other treats. Just put your yummy presents inside these festive boxes and you're done. Share Your Special Christmas Treats in These 12 Holiday Snowflake Bakery Boxes. 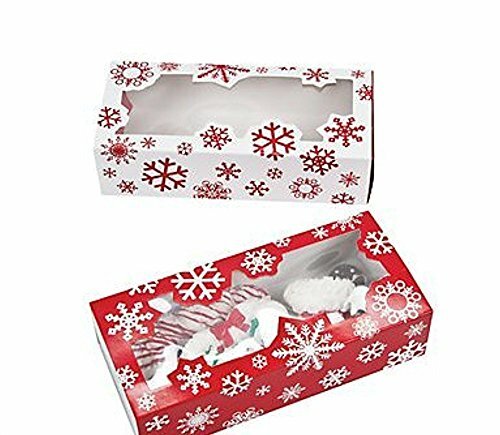 These long Snowflake Cookie Boxes are the perfect size for giving away a variety of Christmas cookies. 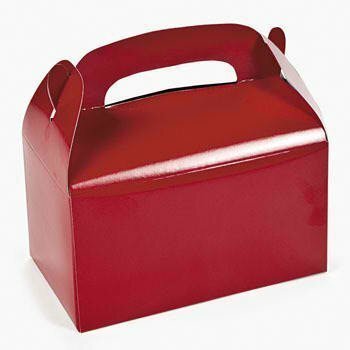 Fill with homemade holiday treats or assorted Christmas candy and pass out to friends, family and co-workers. 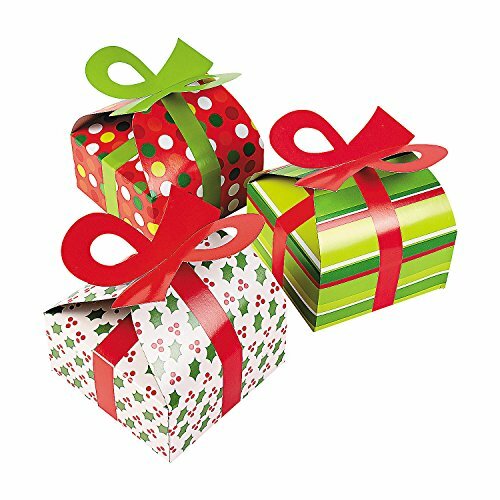 3D Christmas Gift Boxes With Bow. Need to give a small gift in a fresh, unique way? 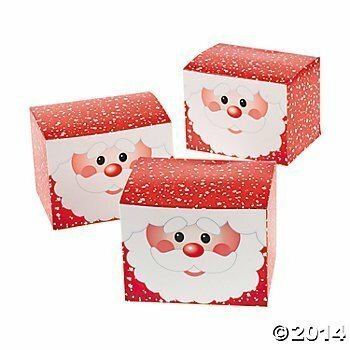 These 3D Christmas Boxes assemble in seconds and are a delight to give. These reusable cardboard boxes also feature a ribbon when fully constructed. With multiple styles, you're sure to give the perfect gift to everyone on your list! 6" x 6" Simple assembly required. Unboxing a HOLIDAY TREAT BOX from Dog Lovers Treats + More!